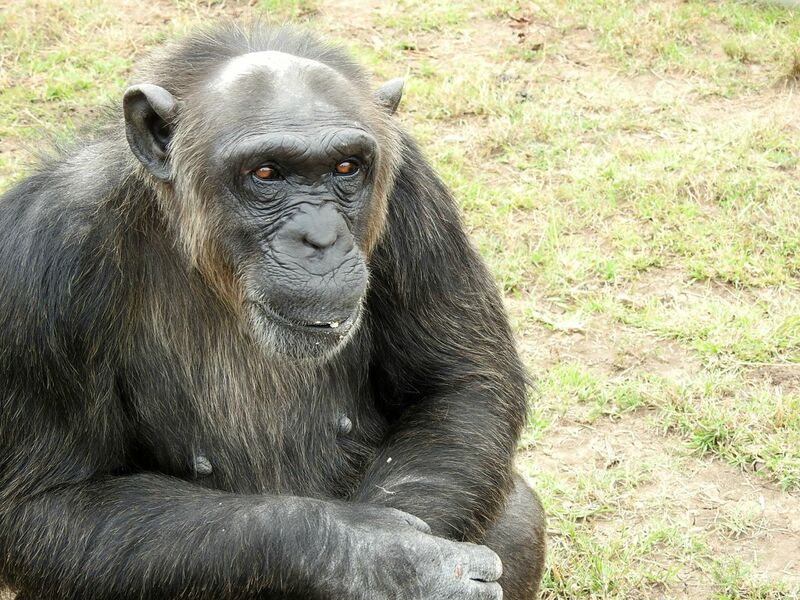 Manno, the chimpanzee rescued from a private zoo in Iraqi Kurdistan, is doing extremely well at Sweetwaters Chimpanzee Sanctuary. The last update was on 1st June, which saw Manno integrated with three females, Jane, Akela and Bahati. The integration is being conducted in a small enclosure next to the sleeping quarters. A barred corridor connects the sleeping quarters with the outdoor enclosure. Greeting Manno in the barred corridor that connects the sleeping quarters to the integration enclosure, Bahati looking on. Since then Manno has made friends with all of the other females in the New Group, eight in all. 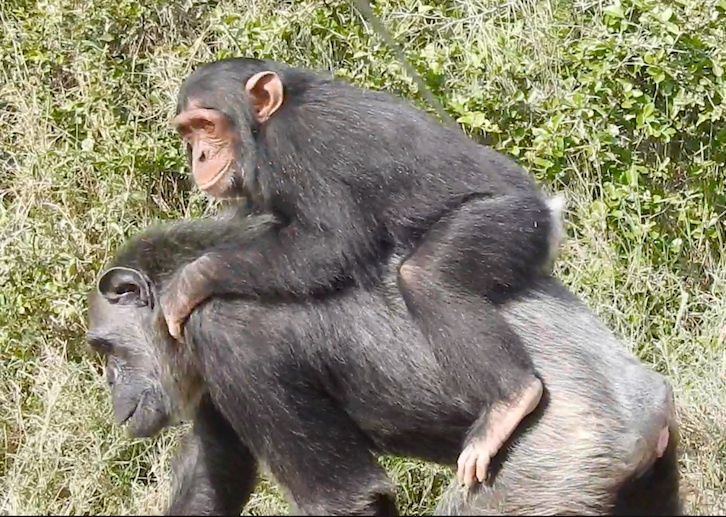 More importantly, three adult males have now accepted Manno – the former alpha of the group, Niyonkuru, Romeo and Roy. Roy and Romeo are good friends and now they are trying to include Manno in their bromance alliance. Manno is still afraid of Niyonkuru, a rather imposing chimpanzee whose name means ‘God is the highest’ in Kirundi, but Niyon, as he is called, has accepted Manno. 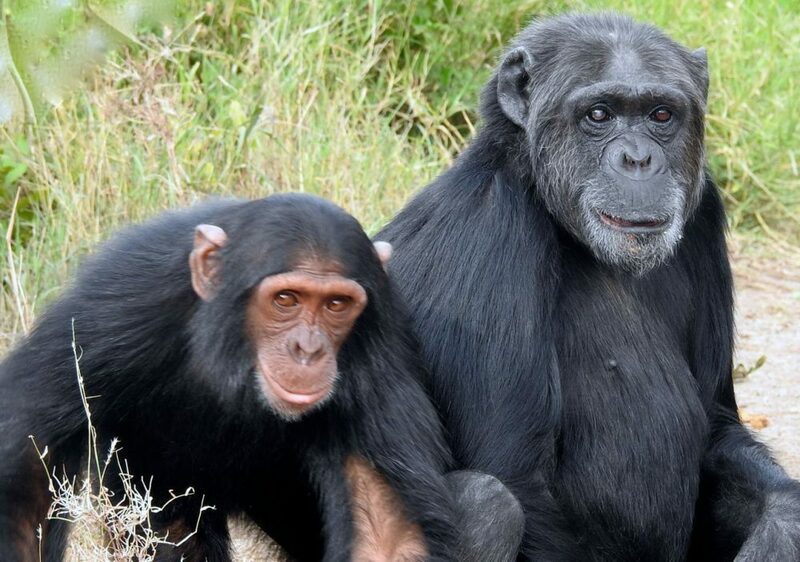 Niyon was confiscated in Burundi when a trafficker tried to sell him to the Jane Goodall Institute! 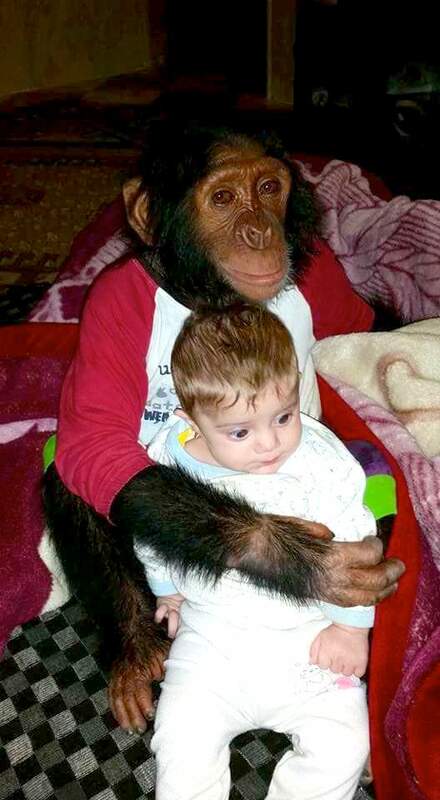 Not a smart move by the trafficker, but it saved Niyon from the pet trade. The next male to be introduced will probably be Kisazose, or Kiza for short, who also came to Sweetwaters from Burundi. He was confiscated from a Congolese trafficker and arrived at Sweetwaters in 1994 as an infant, ill and undernourished. After him will come Uruhara, a favourite of Jane Goodall’s, seen with her in a well-known photograph of them hooting together. 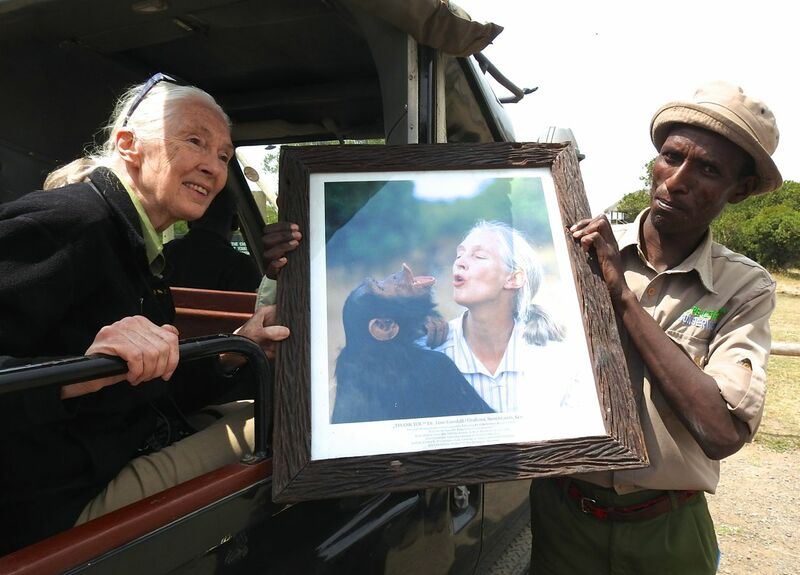 Jane Goodall with the photograph of her and Uruhara hooting. Uruhara today, living up to his Kirundi name, which means ‘bald’. Last but not least will be William, the current alpha male of the New Group. He is aggressive and strong. If William accepts Manno then the little guy from Kurdistan will be home free and he can be released into the main area, which includes a lovely spot on the banks of the Uaso Nyiro river with towering acacia trees. It will be wonderful to watch Manno mix freely with the whole group in natural interaction. There could still be moments of danger for him, however, from the large males, so hopefully Akela and other large females can protect him. 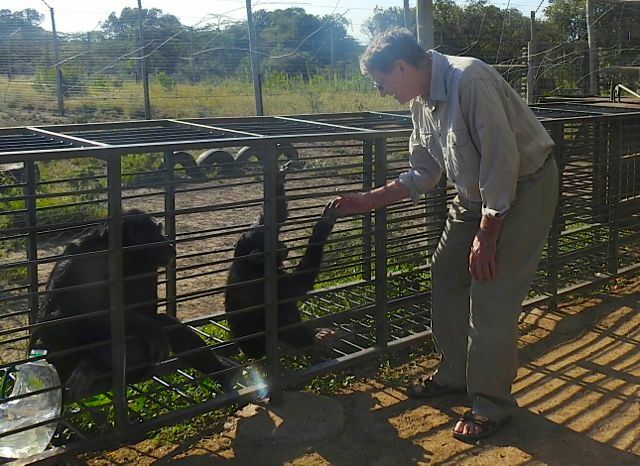 … to living with his own kind in Africa.